Are you on target to get your quals? Initial and biannual requalifications available. Don't miss the mark or this opportunity. and anyone working in the Security Industry. 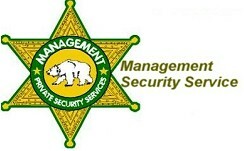 Welcome to the new Academy Security Training website previously found at security-guard-training.net. We are duly insured and protected for professional firearms and security training, with a business license in the City of Torrance, California. Additionally, we have an office in Oceanside, California with plans to expand to other regions. A requirement for any Security Guard serious about their duty to protect. Initial and biannual requalifications available. A mandatory course that teaches where your jurisdiction begins and ends. *Includes Weapons of Mass Destruction and Terrorism Awareness. It's important to understand your legal rights and proper procedures in the likely event that you may need them.